In a series of enticing, irresistibly practical dialogues, the Guides of I Am the Word identify the emotional "boulders" that displace our authentic selves and consume our potential. The Guides provide to-the-point psychological and existential insights, along with self-developing exercises and affirmations, which begin to strip away residues of fear, self-doubt, and self-suffocating habits. 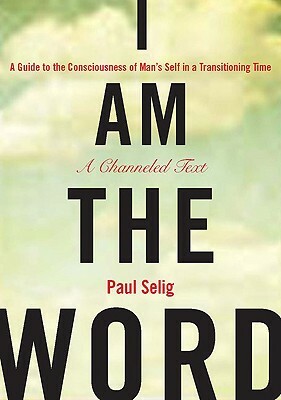 Paul Selig is an American medium and award-winning author of channeled literature. He was born in New York City and received his master's degree from Yale. In 1987, Selig had a spiritual experience that left him clairvoyant. As a way to gain a context for what he was beginning to experience, he studied a form of energy healing, working at Marianne Williamson's Manhattan Center for Living and in his own private practice. In the process, he began to "hear" for his clients, and much of Selig's work now is as a clairaudient, clairvoyant, channel, and empath. He has led channeled energy groups for many years. Selig has been featured on ABC's Nightline and on the Biography Channel series The UneXplained, and is the subject of the short documentary film Paul & the Word. He often appears on Coast to Coast AM with George Noory. Also a noted playwright and educator, Selig serves on the faculty of NYU and directs the MFA in creative writing program at Goddard College. He lives in New York City, where he maintains a private practice as an intuitive.